Thousands of Christian pilgrims and tourists are visiting Bethlehem, the site where it is believed, Jesus was born. 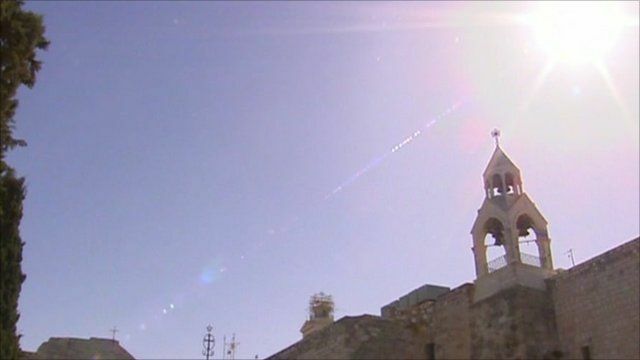 But the local authorities warn that unless urgent repairs are carried out to the centuries-old Church of the Nativity, they may have to restrict visitor numbers in future. The BBC's Middle East correspondent Wyre Davies reports.